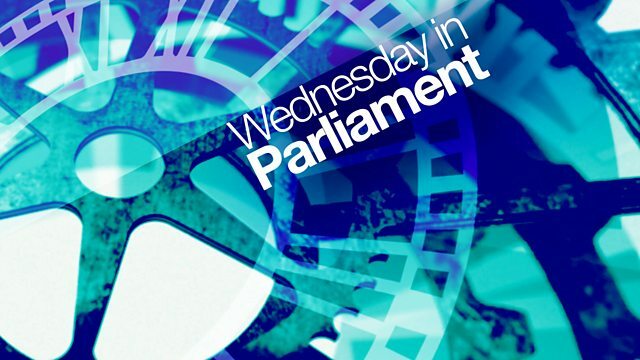 Highlights of proceedings in Parliament on Wednesday 21 March, presented by Mandy Baker. of the 1936 Olympic Games. than a million NHS staff in England? skills grown a set magic money tree? in Salisbury earlier this month. the World Cup this summer. squad should go at all. think it would be a pity for them. was uppermost in his mind. expulsions that we had from Moscow. ability to help fans in Russia. has a good point. That is featured. about the Salisbury attack itself. democracy and in the rule of law. saying this as being weak. are desperate to look the other way. Russian agencies since the 1980s. and all sorts of ways. light of what has happened? War. It was a pretty miserable time. have done and continue to do. should have been scrapped years ago. rewarding them for their hard work. receiving a pay rise they deserve. be for the was government? the benefits of this deal today. to the best way to do that. of the highlights of the week. see across the board and councils. now that counsel has gone bust. inspection was concluded last week. what would happen in the labour. people would pay the price. services. They cut funding and! government says it is unsustainable. and hospitals than ever before. illegal, not arrested, not accused. that this is all right. police names in the public realm. We don't know all of them. how me victims there were. and get to the truth. to carry out the inquiry. a Cabinet minister has warned. to deal with situations like that. sanction for what they have done. It became a joke, Peter crying wolf. that you should use them. got a viable, strong business. They said they could have done more. stronger powers to do more. I think it is an important question. was a former Conservative MP. over £700,000 to the Tory party. or with the SCL group. but the company didn't tell users. who are still at the company now. He said he wanted to be clear. as an "emasculation" of devolution. to these issues next week.